American Legion Volunteers do this every year. This year's volunteers were: Left Photo: Kneeling, George Gil; Standing Left to Right: Ron Ottjepka, Richard Longfellow, Jim Shoger, Dwight Moss, James Barry Henderson, Ernie Rockett, Bob Hoyle, James Love, and Al Tieken. 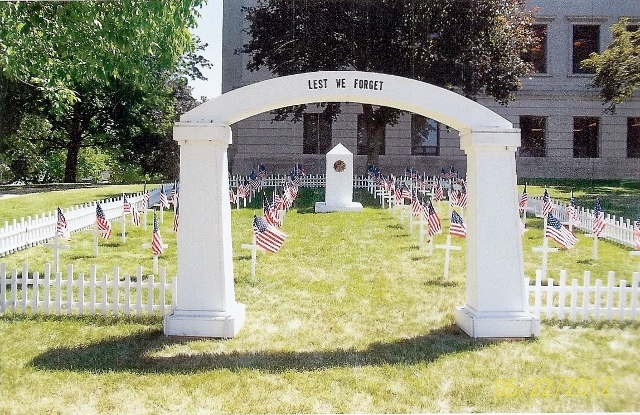 The middle photo is the completed Flanders Field on the south side of Galena next to the Dixon Arch. 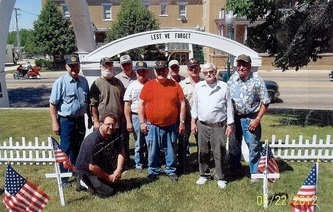 The photo on the right is the American Legion Volunteers again looking to the arch. 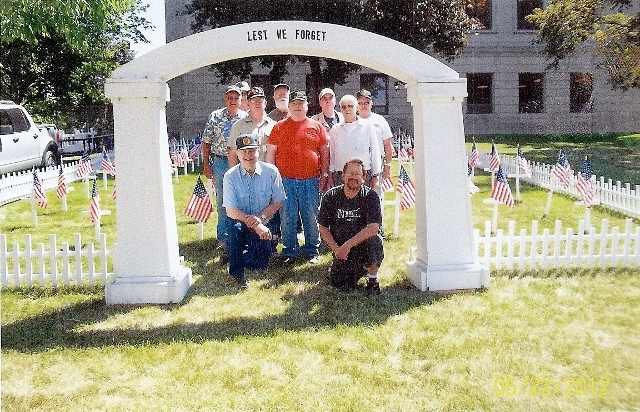 Left to right Kneeling are: Ron Ottjepka and George Gil. Standing Left to Right are: Al Tieken, Jim Shoger, Richard Longfellow, James Barry Henderson, Ernie Rockett, James Love and Dwight Moss. Thanks for a job done well!